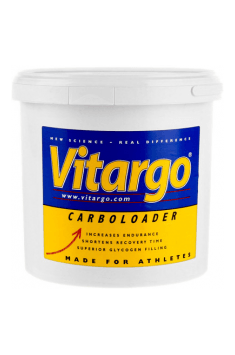 VITARGO Carboloader contains Vitargo®, a patented, high molecular weight carbohydrate with an average molecular weight of 500,000-700,000. It’s unique, because it’s specially processed to yield a molecular profile that is massively different from the sugars (e.g. Glucose, Fructose) and Maltodextrin found in many products. The molecular weight of Maltodextrin is around 1,000-10,000 and Dextrose is approximately 180! starch, acidity regulator E330, sweeteners (E950, E951 (including aspartame (source of phenylalanine)), aroma, color (beet powder) (for flavors of forest fruits), riboflavin (for orange flavor). A multi-component pre-workout . It stimulates, increases strength and muscle pumps blood.